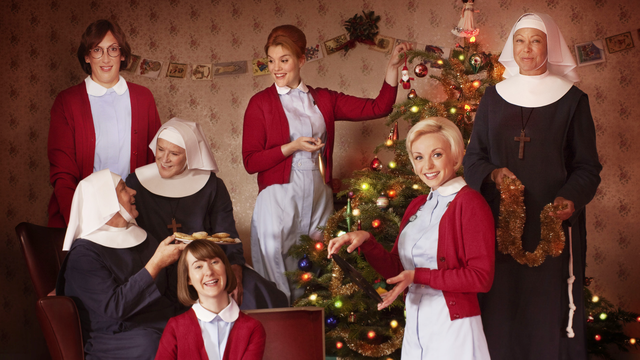 The all-new CALL THE MIDWIFE HOLIDAY SPECIAL, premiering Christmas Day at 7pm, includes a guest appearance from show narrator Vanessa Redgrave. The actress will appear as the mature Jennifer Worth on screen for the first time. The holiday episode begins with a mature Jennifer at home in the early 21st century, opening her Christmas cards from both Cynthia and the Order of St Raymond Nonnatus. She reflects on the Christmases of her youth, and how much she missed the Nonnatus community during the first Christmas after her departure. Back at the Nonnatus House in 1959, the holidays have brought big changes for the midwives and the nuns. Cynthia is invited to join the order as a postulant, and after malpractice is uncovered at the York Lodge, Chummy is offered the permanent position of matron. With the New Year and a new decade approaching, what will the women choose and what will 1960 bring? The special will lead the way to the fourth season of the hit drama, which returns to OETA on March 29, 2015, at 7pm.